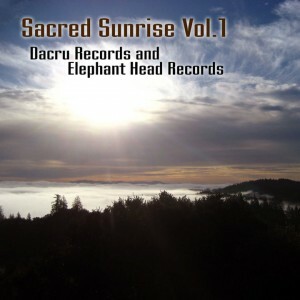 Sacred Sunrise Vol. 1 is a tribute to the various styles of morning dance music in this scene, invoking visions of beautiful mountains, shimmering deserts, deep forests, and breathtaking sunrises. Released by Elephant Head Records in partnership with Dacru Records and compiled by Smoke Sign, this release features new tracks by resident Elephant Head artists as well as some classic tracks from the Dacru back catalogue. If you wake to the sun, we hope you enjoy this assortment of ways to greet the day. Mastering by Keamia with artwork by Ben House. MP3 Download | FLAC Download | WAV Download · Download count: 13,174. WoW!!! loNg Awaited!! ThX basIlIsk!!! Great! , i like Passion Projects tune!!!!! Fett så!!!!! Yeah passion Project nailed that one. Spark Røv ! Awesome. Lots of solid releases lately! All the tracks here are good especially Throw3r. Big ups to Elephant Head Recs and Dacru on this one!! This compilation came out pretty solid….I am very happy with how everyone’s tracks came out….and it’s an honor to be on a tracklist with all these amazing artists….much love and respect! It is a very nice compilations cd i love it and i am very happy too be on it too!!! waiting for Vol 2 !!!! Recommended. Looking forward listening to your future releases. highly recommended & a big thanks for sharing those listening perls..
made my morning! boom from israel! Throw3r – Progress Ions: Amazing! The whole album is amazing! Thank you all for producing and sharing! very very power, tnx for this tracks, wonderful music for the mind & body: f a n t a s t i c c c…!!! Very nice album, especially track number 4 by Chronos.. Amazing!!!! A graceful piece of work! Awsome fullon with powerful energy.. all the tracks are very very good but i like track number 3,5 and 6 most.. I missed throw3r.. Its amazing, highly recomended indeed!